Personalize and order your mug using the form below! 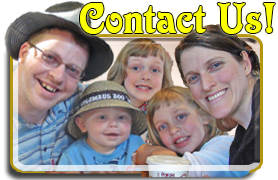 Give us a call with any questions. 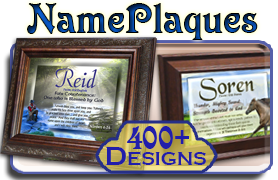 Order a custom coffee mug and personalize it with ANY encouraging Bible verse! A regal lion accents the corner of this coffee mug design, and your chosen verse will be shown against the cloudy blue sky in the background. Warm someone's heart, hands and insides with a cup of hot coffee and their favorite Bible verse. This custom Bible verse coffee mug shows Psalm 23:4,6 on the sample, but you can choose any verse by using the order form. This elegant butterfly perches on an orange flower. If you look closely at the wings, you can see that they're transparent! 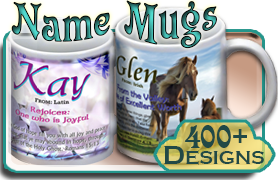 Such a beautiful creature now graces this custom Bible verse coffee mug, personalized with your favorite Scripture verse! Inspire someone every morning with a favorite Bible verse on this custom coffee mug! 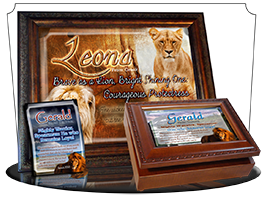 Choose any encouraging Bible verse to sit between the regal lion and watchful ram. 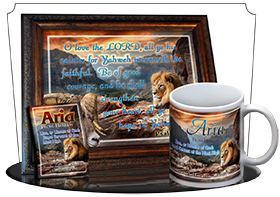 This Ram picture is detailed and distinguished on a custom Bible verse coffee mug. 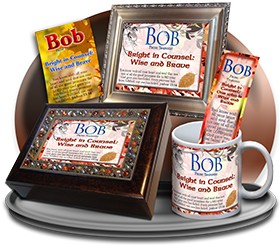 Personalize the mug with an encouraging scripture so you can encourage someone with every sip. 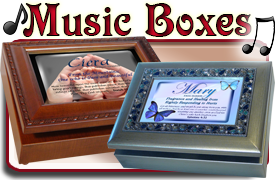 Meditate on the Shepherd's Psalm or your favorite Bible verse with music box, personalized with your choice of music. 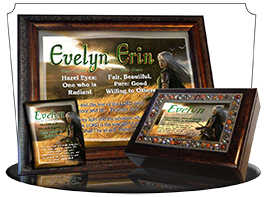 The sample shows excerpts from Psalm 23. enter "as shown" to get it just like it looks in the sample! 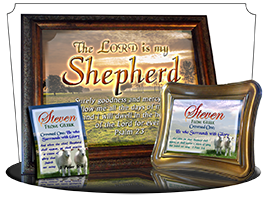 Start your morning with the promises of Psalm 23: The LORD is my Shepherd. 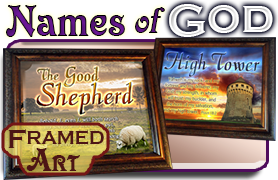 This custom coffee mug comes with your choice of scripture and two adorable lambs beneath a sunrise sky. 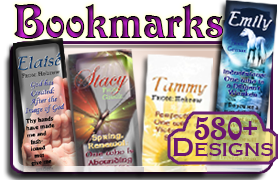 Soar to new heights while enjoying your morning coffee and meditating on the gems of truth God has stored up for us in the Bible. This made-to-order coffee mug is sure to be a favorite for years to come, and encourage the reader/coffee drinker with a word of inspiration from the Bible. Choose your own verse! A swift golden eagle flies through the air on this custom coffee mug. Personalize the mug with any Bible verse to add inspiration and encouragement to your energy boost of coffee! Add your favorite Bible verse to this custom eagle coffee mug. 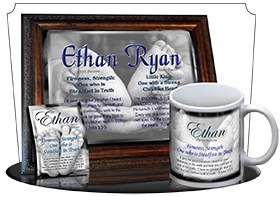 You can personalize the mug with any encouraging Bible verse, or order it with the most popular Eagle verse in the Bible: Isaiah 40:31, shown in the sample. Just enter "As shown" if you'd like that verse. 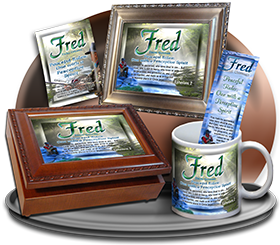 Soar to new heights of trusting God while you meditate on your favorite Bible verse and sip your coffee from this custom coffee mug. 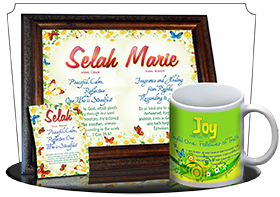 Personalize the coffee mug with any Bible verse, or enter "as shown" to get it with the verse that shown in the sample! Personalize this dove coffee mug with any encouraging Bible verse, and include a personal message on the back of the mug! The matching Scripture Bookmark shows the same doves, or the wallet-sized Scripture Pocket Card shows several angels flying in the bright blue sky, with Austrian mountain peaks at the bottom edge of the card. A Golden Eagle awaits the treasure found in this Custom Bible verse coffee mug. Red skies, fiery sunsets, inspirational messages. 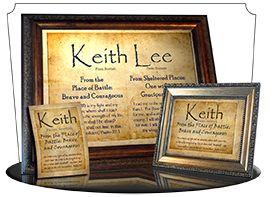 Personalize with a any encouraging Bible verse, an added Scripture Pocket Card or a message on the back of the custom mug! This white horse gazes at your favorite Bible verse, lettered in golds against a wind-swept sky. 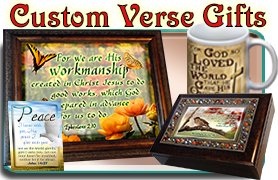 Enter the reference for your custom Bible verse mug, and now you'll have your favorite verse is on your favorite coffee mug! Start the coffee perkin'! Personalize this coffee mug with your favorite Bible verse! 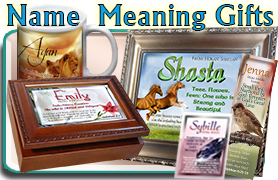 And take a look at the really cute Scripture Pocket Card, showing a horse with white hair nuzzling against another brown horse. Look at the birds of the air. God feeds them. And He cares for you in every way. 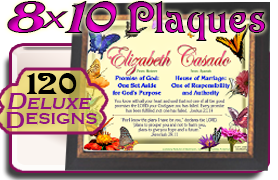 Share that image, along with your favorite Bible verse, on a custom scripture-verse cup of coffee!